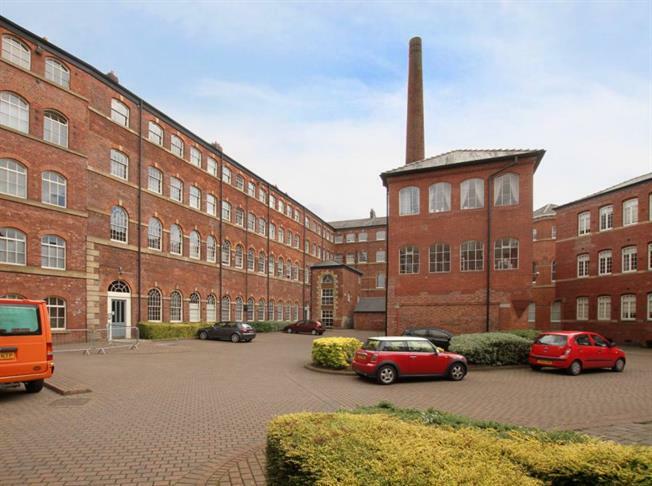 We're delighted to offer for sale this stunning 1st floor apartment located in the fashionable Cornish Place development, right in the heart of Kelham Island. This is a two bedroom flat with a mezzanine level in the second bedroom, ideal for a third bed or storage space. The property has a dual aspect view looking over both the River Don and Ball Street. Cornish place is a redevelopment of a former Victorian Cutlery factory, maintaining many original features including; exposed brick, beams and it has some of the former machinery still runs through the flat. This really is something you must see to appreciate. Cornish Place is one of the most impressive Cutlery Works to still stand in Sheffield, and really showcases the industrial heritage of the City. The firm was originally founded as Dixon & Smith in 1805, and later became James Dixon & Sons in 1819. This was a successful firm which expanded through the nineteenth century, and early into the twentieth century. It was during World War I when the business started to decline as demand for luxury cutlery fell, and later competition from manufacturers in Japan lead to the company making annual losses by the 1970's. Production continued until 1992 when works were finally brought to a halt, and shortly after the building was converted into apartments. The flat is currently tenanted until the end of February and will be available to both owner occupiers and investors. If you're looking for a property in the Kelham Island area, which is rich in character then this is a must. The flat briefly comprises of; entrance hallway, large open plan lounge / kitchen, master bedroom, bathroom, second bedroom with mezzanine level, on-site gym, and an allocated parking space.